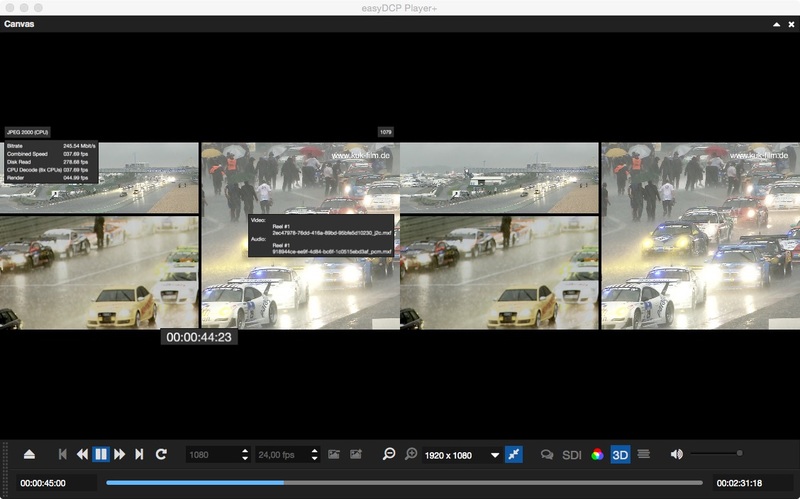 easyDCP Player allows to playback DCP's (Digital Cinema Packages) without specific cinema equipment on a Microsoft PC or MAC. CPU or GPU (Graphics Processing Unit) can accelerate the decoding and provide real-time playback of 2k DCP's of JPEG2000 sequences. For a first experience with this software and the DCP playback we offer a free download of a special trial version of both versions of easyDCP Player(+). 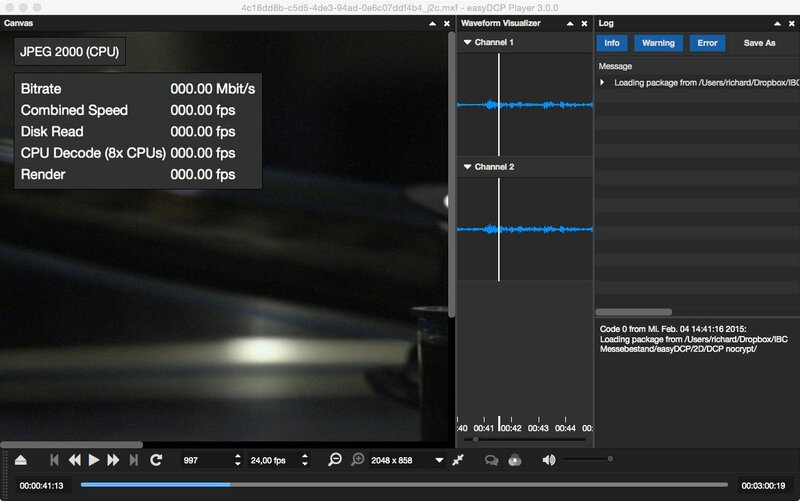 The trial versions allows playback of any DCP for 15 sec. easyDCP Player+ allows also playback of DCPs/IMPs in HD SDI if a compatible adapter is available. easyDCP Player is also cost effective available in easyDCP Bundle!